Stay cozy and safe this season with these fireplace safety tips. There’s nothing quite like warming your bones by the fireplace in the winter. Many homeowners utilize fireplaces during colder months to provide economical heating solutions or to make for cozier holiday gatherings. Whatever the reason, keep these tips in mind before you stoke up the fire for the season. Hire a chimney sweep. A professional chimney sweep will provide a visual inspection of your fireplace and chimney, looking for creosote, a tar-like build-up, and blockages. If ignored, creosote can lead to chimney fires. Always hire a chimney sweep before lighting the first fire of the season. Make sure you have a chimney cap. A chimney cap is there to protect your chimney from staying open. Chimney caps partially close the opening to prevent animals from climbing in and building nests. Only burn seasoned wood. It may seem like a good idea to burn your Christmas tree once you’re done with it for the season, but it is it won’t be seasoned or dry. 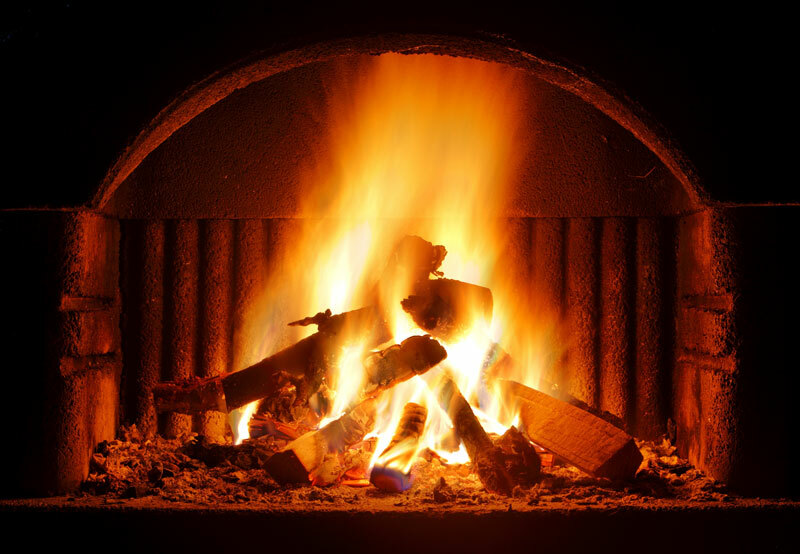 To make a cozy fire, supply it with seasoned wood (logs that have been dried out for at least one year). Burning wet wood can produce smoky fires. Never burn wrapping paper, either. Hang stockings elsewhere. It seems like a great holiday tradition, to hang stockings by the chimney with care, but it’s a tradition to skip this year. Objects on or near the fireplace can quickly become fire hazards when targeted by flying sparks. Instead, place your stockings on the banister by the stairs or underneath the tree! Close the damper after a fire. A damper is a hinged flap just above the fireplace that controls the amount of air allowed to pass through the chimney. Keep it open while the fire is lit, but remember to close it once the flame is out to prevent heat loss and cold air exchanges. Homeowners insurance is designed to help your house and wallet in the event of a home fire. Ensure that you have the optimum coverage by visiting the professionals at Gee Schussler Insurance Agency. Our team of professionals is here to help you protect your home in Orland Park, Illinois.